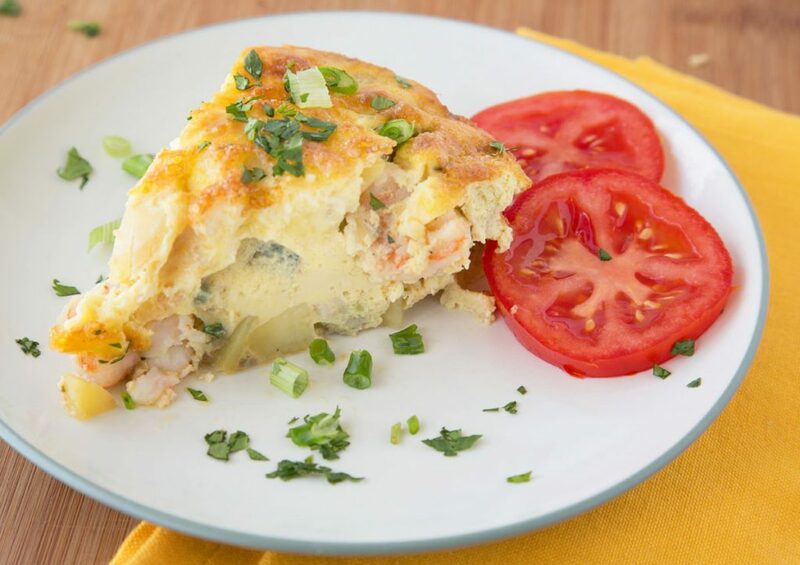 Home » Recipes » Shrimp Tortilla Española Recipe – A World of Flavor! 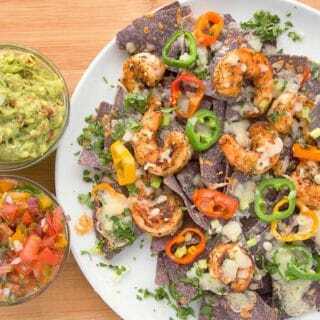 Shrimp Tortilla Española Recipe – A World of Flavor! 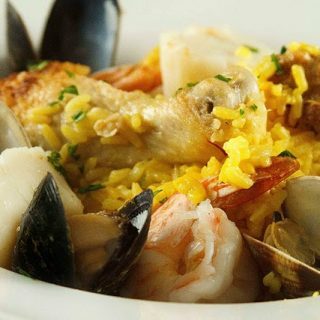 Let's take our weeknights dinners international with my delicious taste of Spain! 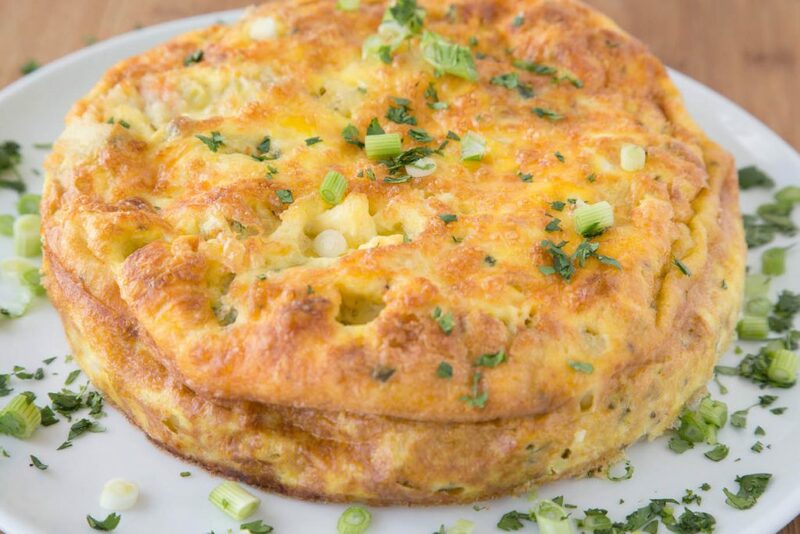 Shrimp Tortilla Española, for a world of flavor! Variety is the Spice of Life, especially when it comes to the kitchen! And if you’d like to spice things up in your kitchen try my latest slice of deliciousness, Shrimp Tortilla Española. Many years ago I discovered the joy of a “Spanish Tortilla”. It’s not what most American households think of when they hear tortilla, and growing up with a Mexican grandmother, it wasn’t my definition of a tortilla either. But as it turns out the Spanish version, especially my Shrimp Tortilla Española turned out to be better than expected! It was easy to make and very easily adaptable in terms of ingredients. 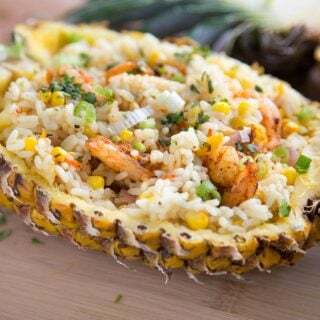 You can make it with a variety of vegetables, meats or seafood and get the same delicious results everytime. 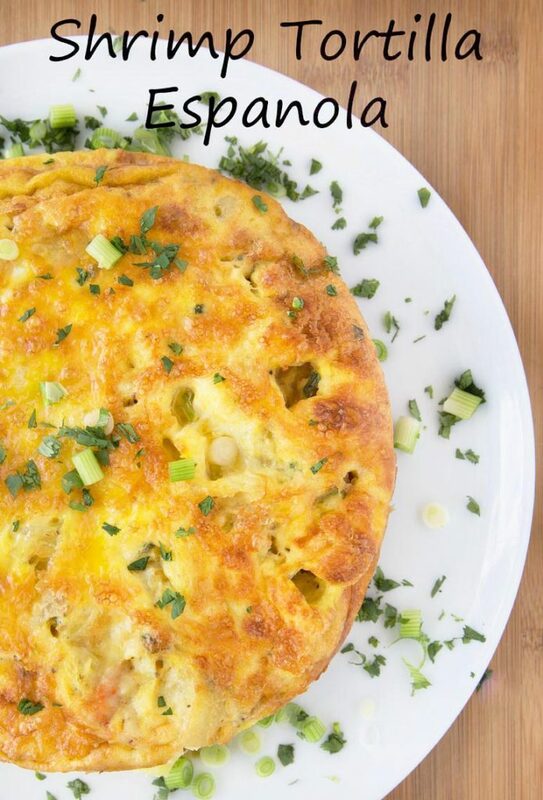 You can serve my Shrimp Tortilla Española for lunch, brunch or dinner and I guarantee your family or guests will be happy! 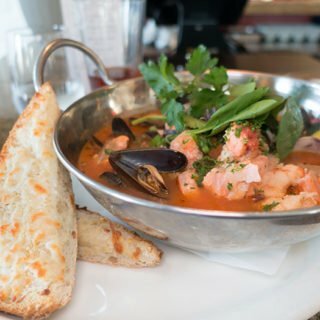 Add a side salad and a refreshing beverage and you have the perfect meal. You can even serve it at room temperature, making it a wonderful addition to your brunch table. Just remember to have copies of the recipe on hand, because everyone is going to want to make in their homes. 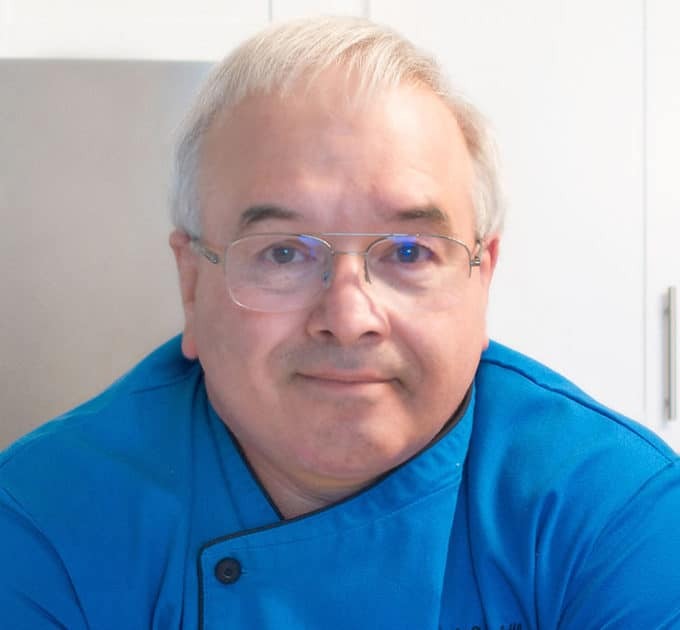 If you’ve tried my Shrimp Tortilla Espanola recipe or any other recipe on askchefdennis.com please don’t forget to rate the recipe and let me know where you found it in the comments below, I love hearing from you! You can also FOLLOW ME on Instagram @chefdenniseats and @chefdennistravels, Twitter and Facebook. 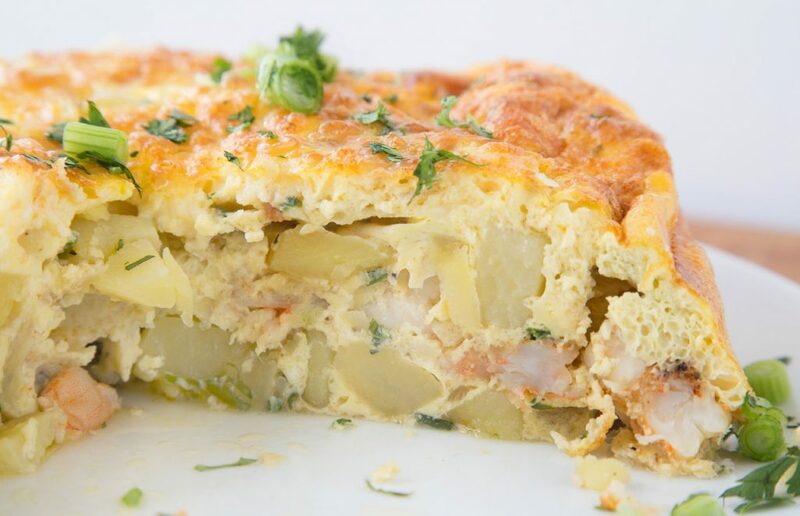 Shrimp Tortilla Española Recipe - A World of Flavor! Wrap the outside of a 9 inch springform pan with foil, then spray the inside with cooking spray. In a medium saucepan, add potato and 1 teaspoon salt; cover with water. Cook over medium-high heat until tender, about 5 minutes. Drain well. Add potatoes and green onion to cooked onion mixture, and stir gently to combine. Season with sea salt and black pepper to taste. Continue to cook the combination for 4-5 minutes. Place 2/3 of the mixture in the bottom of your spring form pan to make a nice layer, reserve the remainder. Add a little more olive oil to the hot pan and add in the shrimp and creole seasoning. Cook shrimp until almost done. 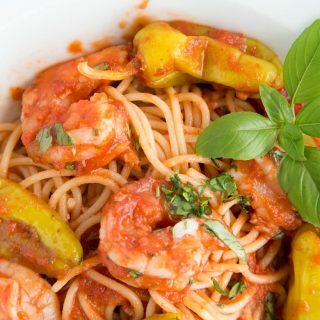 It's important not to overcook the shrimp! Add the shrimp to the springform pan on top of the potato layer, then add the remainder of the potatoes and shredded jack cheese. In a large bowl, whisk together eggs, cream, ½ teaspoon salt. Add softened butter in small pieces and whisk well. Pour egg mixture over ingredients. Bake until top is golden brown and mixture is set, about 45 minutes. Let stand in pan for 10 minutes and gently remove from springform pan. Run a knife along the edges of pan to help release the tortilla. Garnish with white parts of scallions and cilantro. 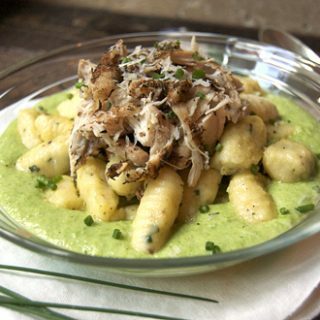 This recipe is for potato gnocchi over a sweet pea puree with jerk chicken. WOW! Gorgeous and I can imagine why you suggest having recipe on hand. Eager to make this. Thank you Nancie, I love when one of my recipes me and this one was extra delicious! Sounds so good. Thank you! Thank for stopping by Liz, it certainly is a keeper! I’ve never heard of an Espanola but this looks amazing and will have to be tried. Thank you Carole! You just made my day!